Habanero Games Are Now Available at Vegas Crest Casino! Habanero Games Launch With Over 40 New Video Slots! October 19, 2016 — Vegas Crest Casino loves to offer players more! More Fun, More Action and best of all, More great ways to win. 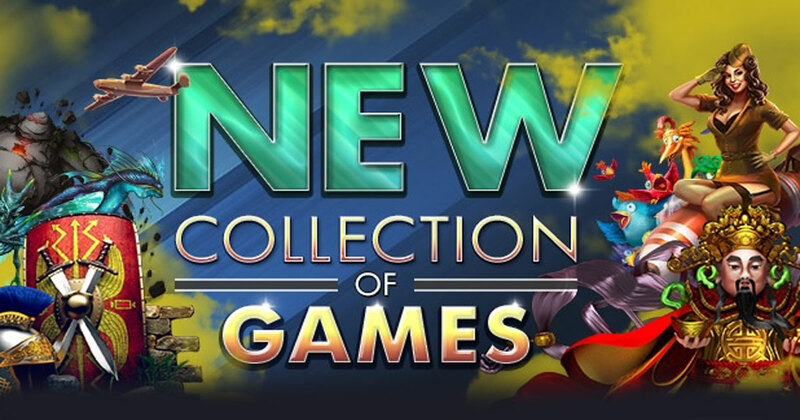 October sees the launch of over 40 new Habanero Games slots from top game provider Habanero. This new selection of great video slot games guarantees incredible slot action and has something for everyone with fantastic features and new ways to win big. Most noteworthy, this brings the incredible choice of the latest casino games at Vegas Crest Casino to over 420! This continued growth and expansion is through a careful selection of trusted providers. This ensures that Vegas Crest Casino offers the best possible quality of games for its players to enjoy. • 43 new and exciting 5-5eel slots! • Play on PC, Tablet and Mobile (Android, IOS, Windows Phone). • Unique themes, styles and features. The new slots can be found on the Vegas Crest Casino slots section under the new heading, ‘New Slots’ which can be found at the top of the listings. This great selection of over 40, 5-reel slots can be played on PC, Tablet and Mobile, bringing fantastic casino action to players wherever you choose to play. Each Habanero Games slot has its own unique theme and style of play that offers a greater variety of game play. Feature bonuses include a wide selection of fun play with feature bonuses of free spins and multipliers. There are also Dragon Battles that reward players with big wins too. Each slot has its own unique feature game, offering great ways to win. Along with great feature bonuses, these slots include all the regular features that players love! Free Spins, Scatters, Wilds and incredible Progressive Jackpots that can be won at any time! Our favorite titles include Shaolin fortunes with its 243 ways to win. Arcane Elements that brings together Earth, Air, Fire and water to create incredible winning combinations within a creatively designed environment. Also Bombs Away which is set in the 1940’s and see’s players supplying the troops in WW2 with exciting features and incredible wilds. This great selection of Habanero games brings a rich and diverse mix of fantastic features. Make the most of these great new games with monster Halloween fun in October with popular favorites including Monster Mash Cash and Wicked Witch. For those players that love to test their skills, Dragons Throne takes players to the heart of the adventure! Players can test their skills fighting Dragon Battles to increase the multipliers and create amazing big wins. Vegas Crest Casino continues to lead the way with both its growing selection of games on offer and also its technological advancement. This ensures a first class playing experience at all times. At Vegas Crest Casino players can choose from over 420 of the latest video slots and casino games to play. From 3D slots to Blackjack, Vegas Crest Casino utilizes the very latest technology. We do this to ensure that Vegas Crest Casino players can enjoy the same great casino action no matter how or where you love to play. Be it on PC, Tablet or Mobile device.